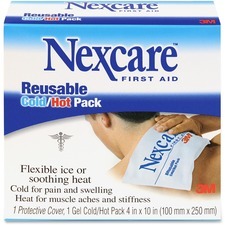 Flexible ice or soothing heat. Includes a protective cover.4" x 10". Water-resistant adhesive. Assorted Sizes.45/box.Also available in a carton of 12 boxes. Hydrates, chills and helps to prevent infection. Ideal for light to moderate burns. Hydrogel is made from Tea Tree oil. 3.5 mL.2/box. Twist for instant cold. Use to reduce pain, muscle spasms and calm inflammation. External use only. 6" x 10". 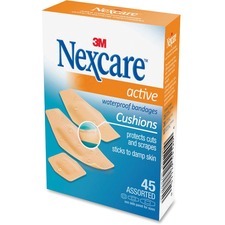 Sterile and hypoallergenic with a long lasting strong adhesive. Regular.Latex-free.3/4" x 3".100/box. Twist for instant cold. Use to reduce pain, muscle spasms and calm inflammation. External use only. 4" x 6". Immobilize joints having suffered a minor injury. Provide articulation and the neccessary support for recovery. Washable fabric. 4"W x 15&apos;L.
Immobilize joints having suffered a minor injury. Provide articulation and the neccessary support for recovery. Washable fabric. 2"W x 15&apos;L.
Ideal to close the two edges of a minor wound. Can be cut off at desired length. Sterile. 1/4"W x 3"L.6/box.